During school graduation rites in the Philippines, there's a particular piece of music that gets played over and over again as graduates troop to the stage to receive their hard-earned diplomas. That piece of music is none other than Triumphal March (Italian: Marcia Trionfale), a track from the opera Aida by Giuseppe Verdi. Majority of public and private schools in the country use the song/music in their commencement exercises. Most schools use the music as it was played in the opera. Others use varying versions of the track. Some schools (especially universities) sometimes use a live orchestra to perform and play the music. Is the Triumphal March a requirement to be played by Philippine schools during graduation? Some people have the wrong assumption that the Philippine government requires schools to use the music during graduation programs. It's not true. Even the Department of Education (DepEd) doesn't impose strict rules on what songs or music are used during graduation programs. The heads of schools are the ones responsible for choosing which music they are going to us. Triumphal March is so popular that it has become the standard music during these rites. This doesn't mean that schools are required to play it in their commencement programs. 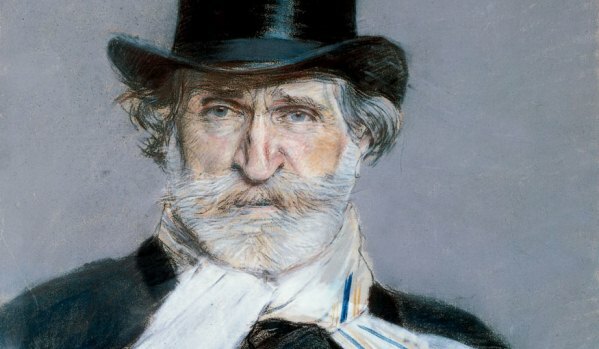 Verdi was an Italian opera composer who lived from 1813 to 1901. His most well-known works are Aida, Requiem, Otello, Rigoletto, Il Trovatore, La Traviata, and Falstaff. His work Aida which is an opera in four acts was first performed in Egypt at the Khedivial Opera House in 1871. More than a century later, the opera still remains as one of the most popular opera in the world. The opera has also been adapted into a movie in several occasions, the most popular of which is probably the Italian 1953 film starring Sophia Loren and Lois Maxwell.